This Contest Ended on November 30, 2009. You cannot enter any more. Hot Contest: Win a brand-new Dell Studio XPS 16 laptop computer! One lucky winner in this contest will win a new Dell Studio XPS 16 Laptop valued at approximately $1,200 from BestOnlineCoupons.com. All you have to do to enter is submit a review of a merchant listed on this website. 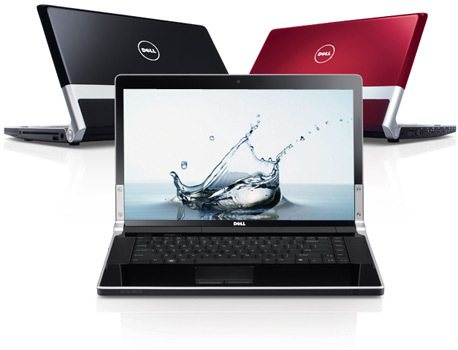 For a great deal on a Dell computer or other electronics, see our Dell Coupons. User reviews of merchants is a feature we just added here at BestOnlineCoupons.com, and we've developed this promotion to help encourage everyone to get involved. Each quality review you submit before November 30, 2009, is an entry into the contest (one will be randomly selected as the winner from the entries received.) So submit reviews of all the the online stores and Internet services know about to increase your chance of winning. However, only review those merchants that you have personal shopping experience with, to keep our reviews as accurate and useful as possible. The contest prize is a Dell Studio XPS 16 laptop computer valued at $1200. The exact details will depend on available configurations at the time the prize is awarded. Since it is a Studio XPS, it is Dell's ultimate multimedia laptop, it will have tons of great features such as a gorgeous edge-to-edge HD+ WLED LCD screen, a multi-core Intel processor, fast DDR3 memory, a large hard drive, ATI Mobility Radeon HD performance graphics, wireless networking, etc. It will also have the brand-new Windows 7 OS. Depending on prices and deals in early December, more features and upgrades like Blu-Ray may be possible. Timing. The contest ends at 11:59 PM CST on November 30, 2009. All reviews must be submitted by that time to qualify as entries into the contest. Selection of Winner. On December 1, 2009, one potential winner will be selected by randomly choosing one of the published reviews. If that person and the review meet the elgibility criteria, they will be awarded the prize. If their email address is not valid or they do not respond to the notification within seven (7) days, the prize award will be rescinded. This procedure will be repeated as necessary until there is one (1) eligible winner that has claimed the prize. Prizes. One (1) prize will be awarded. The approximate retail value of the prize is $1,200. No prize substitution, cash redemption, assignment or transfer of prizes by winner is permitted. We reserve the right to substitute a prize with another prize of equal or greater value. Limit of one prize per person. For many years BestOnlineCoupons.com has been a great coupon codes website. We helped many people find the best online coupons, promotion codes, discount deals and sales specials. Now by adding real user reviews of the stores and services we list deals for, we help you find the best stores to shop at. We also give you a chance to win this great new Dell Studio XPS 16 laptop computer.